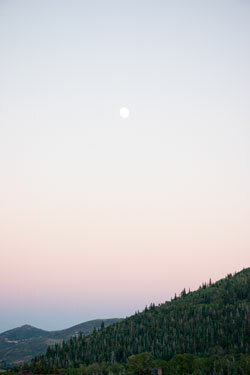 Park City, Utah. Regan and I are in love with it. Really. So in love. We haven’t taken a substantial vacation together ever, really. When we were living in Virginia all of our time off was used to visit family over the holidays, and since we both had jobs that required nametags we weren’t making enough money to travel anyway. But now, thanks to Mom and Dad, we had the chance to share a great week in a really lovely condo at just about the best place on earth. There was no skiing and no Sundance– none of the stuff that tourists really flock to that location to experience, but there were the mountains and that was enough. We could have traveled around Utah, but we didn’t want to stop wandering around downtown Park City, peeking into shops, taking pictures of everything, soaking up the climate, the kindness, the progressiveness and the abundance of recycling bins! Regan and I shifted gears mentally while there, which was really, really welcome. Here are some completely raw images from the camera that almost capture the beauty we were so happy to soak up for the last week. 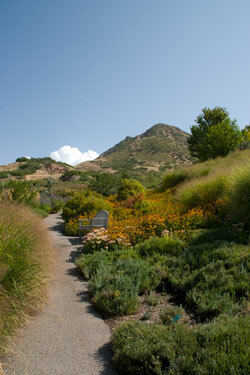 Red Butte Garden in Salt Lake. Regan’s got some powerful love for this place and rightly so. View from our balcony at sunset.